The last Sunday before advent begins is traditionally known as ‘stir up Sunday’. This is when families would get together and make the mixture for their Christmas pudding, all taking it in turns to stir the pot and making a wish for the year ahead. Although these days it may be quick and easy to buy Christmas pudding from the supermarket, you really can’t beat a homemade version. Traditionally a coin was added to the mixture before cooking to bring wealth to whoever found it on Christmas Day. Although traditionally made with brandy, the alcohol can be substituted for rum, stout or Vin Santo, depending on your personal preference. You could try substituting some of the raisins, currants and sultanas for other dried fruits such as cherries, figs or crystallised ginger. 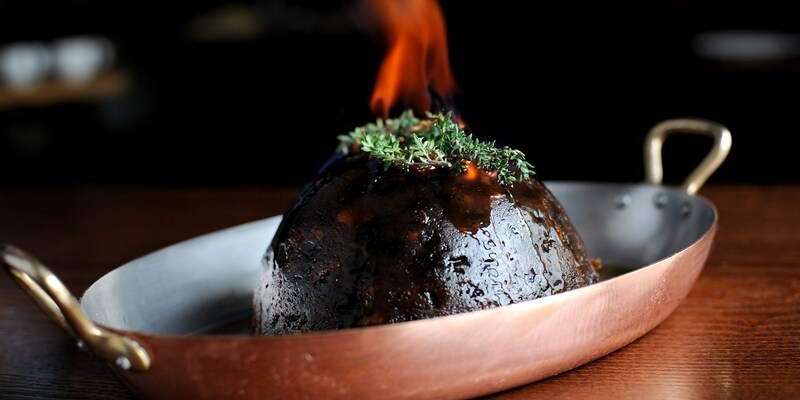 Paul A Young uses chocolate to make his twist on a traditional Christmas pudding. The most obvious thing to serve with Christmas pudding is clearly brandy butter – try Dominic Chapman’s Christmas pudding with brandy butter– while Shaun Rankin turns Christmas pudding into an indulgent ice cream to serve with a decadent dark chocolate soufflé.